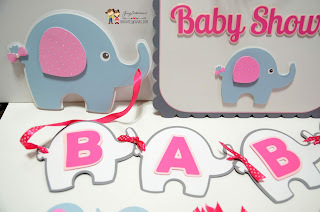 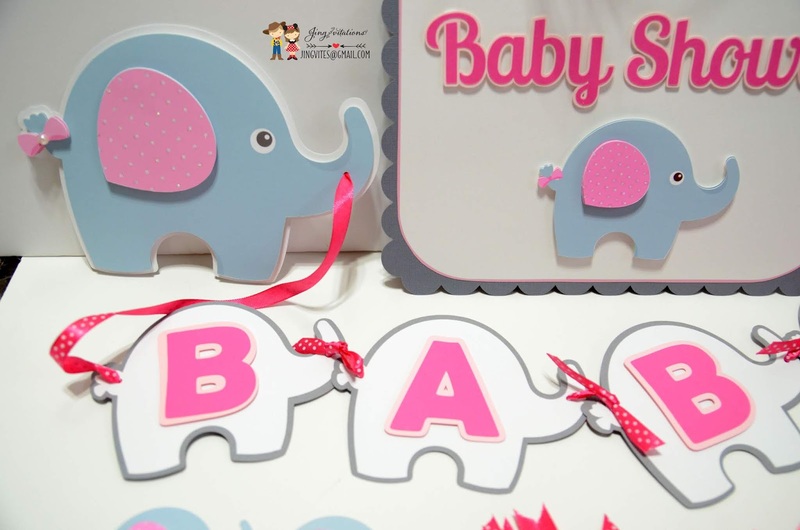 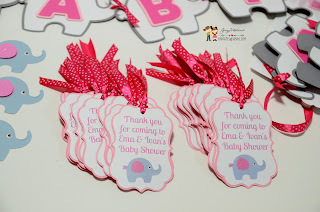 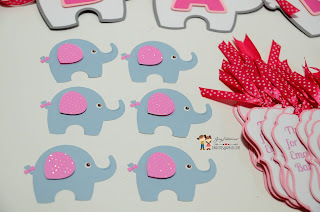 Elephant Baby Shower Invitations, Banner, Door sign, Gift tags. Elephant color can be customized. 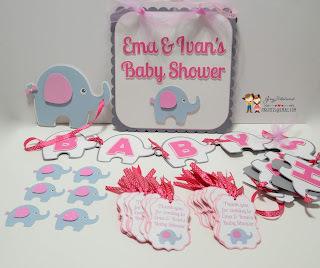 It can be used as a baby shower for baby boy.